google-site-verification=HGCMemNzVbyTR3nlbK056VIVFZY2cyWy7EyHS8sdSZIHow To Properly Setup and Tune Your New Table Saw? 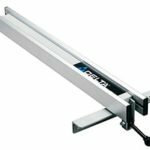 Home How To Guide How To Properly Setup and Tune Your New Table Saw? How To Properly Setup and Tune Your New Table Saw? If you are into woodworking, one of the tools that you will need is the table saw. 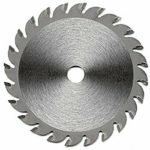 With the best saw, you will be able to carry out a wide range of tasks and make accurate cuts. If you have already bought your saw and it has been delivered, you must be excited to have such a powerful tool. However, this is one of the most dangerous tools and if not set up in the right manner, you may end up hurting yourself. If you have just unpacked the tool from the box, here is a guide to help you in setting it up. However, before setting it up, you will need to work on the environment. How To Setup Your New Table Saw? Whether you are a professional expert of a DIYer, you must have a place where you will be using as the workstation. Whichever place you choose to use, you need to ensure that you have adequate space to move around and also move the workpieces. You should never set up where there is too much clutter. If you have a professional workshop, you should position each of the machines in a way that it will be easier to use them. If you are DIY enthusiast or have a home workshop, you should be conscious of the possible interruptions. You should alert everyone that they should not interrupt when you are running the tool. A simple act of opening the door when the machine is running may end up causing serious injuries and consequences. You should have everyone note that the area is dedicated to cutting tasks and should be avoided, where necessary. When you get the new saw, before trying any other thing, you should locate manual and read it through from cover to cover. Go through all the safety precautions and have the manual in your hand when setting it up. You should take note of everything that the manufacturer says and follow it religiously. Ordinarily, when you get a new saw, it might not be aligned properly. Before attempting the alignment process, you need to ensure that the miter slots are aligned and parallel to each other. If these are not on the same level, this means that it is not okay and cannot be fixed. You should send it back and ask for a replacement. The blade is the most integral part of this tool. 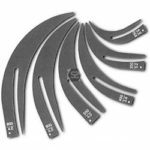 There are some guides that will indicate you should start by aligning your blade to the miter slot. However, when you get the top rated saws, this will already be aligned. The most essential thing is to ensure that the blade is perfectly square to your table. In order to do this, raise the blade to the highest point and then tilt it 90 degrees. Use a 90 degree square to confirm it is exactly 90 degrees. While setting up the blade, it is important to check the position of the riving knife. Ideally, the riving knife on should not be more than 8 millimeters from the blade. If you need to make any adjustment, you can do this by removing your kerf plate. If you do not have a measuring device, use a pencil to check if the riving knife is in the correct position. A standard pencil is usually 8mm. Adjust fence square to the table: Just in the same manner that you used a 90 degree square to adjust the blade, adjust the fence in the same manner. In the event that the fence is not accurate to adjust it. Fence set parallel to the blade: The blade and the fence will work together, most of the time and as such, you should ensure that you get this right. You can use the sub fence and place it against the blade and check with the eye down the table. You can have the fence tailing away, slightly so as to ensure there is no pinch point. 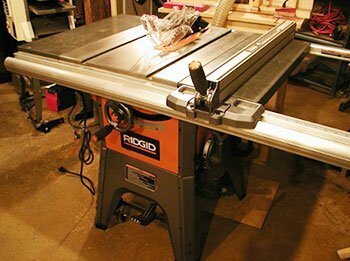 If you have a model of the table saw that has a sliding table, then you will have to set it up as well. This may require an extra hand, or two, depending on the size of the saw that you have bought. 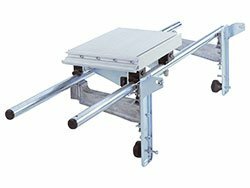 Ensure that the sliding table is slightly above the main table so as to prevent any cases of dragging the main table when the workpiece is pushed through. The last bit will be to align the motor, belt tension and the arbor pulley, and then lubricate the inner pivots. You should use a dry lubricant like graphite or any that is silicone free. Clean the table surface and lubricate it and this will get your brand new saw ready for use. This is a simple guide that we have shared with you to help you in setting up your new table saw. We really hope that it will be of great help. Some of the aspects may differ and this is why you should always refer to the owners’ manual when setting up and using the best model.